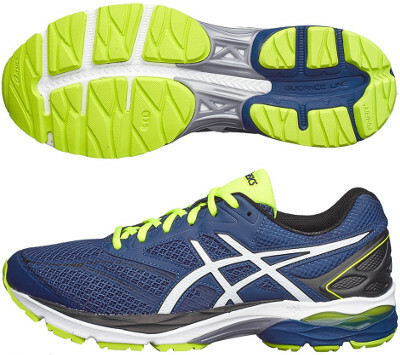 Asics Gel Pulse 8 are neutral cushioned running shoes. The reliable Asics Gel Pulse 8 remains true to the style which rules its sales success among non-premium neutral running shoes with simplicity, solid cushioning and great value for money. With 10 mm drop and around 5% lighter, the Pulse 8 is a great choice for daily tranings and long distances like half marathon, pretty similar to its counterpart with pronation support GT 1000 5. Removable insole can be replaced with custom orthotics. Upper has been simplified compared to its predecessor Gel Pulse 7 with a more open mesh for more breathability where forefoot overlays are now fused for lighter but snug fit. Visibility under poor light conditions is guaranteed by reflective elements made by well-known manufacturer 3M®. Midsole in Gel Pulse 8 is made of reliable SpEVA® with classical Gel® units in both heel and forefoot for smooth transition and responsive shock absorption. Outsole keeps its configuration featuring plastic shank (Trusstic System®) in the midfoot to improve stability using same materials with typical AHAR+ in more exposed areas for longer durability.